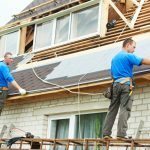 So, you want to hire a roofing company in Greenville SC. But, you’re not quite sure who to hire. Hiring a roofing company is a very important decision. Many people hire the first company they come across then end up sorely regretting it later. This is because a poor roofing job can result in leaks costly roof repairs in the future. If you don’t choose the right company, you may end up spending more time more money on repairs than on the initial job. Obviously, this is something you want to avoid. Now, you may be thinking, “I don’t know anything roofs, how can I tell good roofing company from a bad one? Luckily, finding a quality roofing company in Greenville SC isn’t as difficult as you think. You don’t need to be a roofing expert. You just need to know the right questions to ask your contractor. We’ve got the top eight questions you should ask a roofing company before signing on. Question #1: Are You Licensed? Licensing requirements vary by state. In general, however, most states require roofers to be licensed in the state. Before hiring, research the roofing code requirements in your state in your city. If licensing is required in your area, only work with roofers who hold a valid license. Make sure that the license applies to the state you live in. , make sure that the license is up to date. If you work with a roofer without a license, it will be very difficult to take recourse in the event something goes wrong. Question #2: Are You Insured? 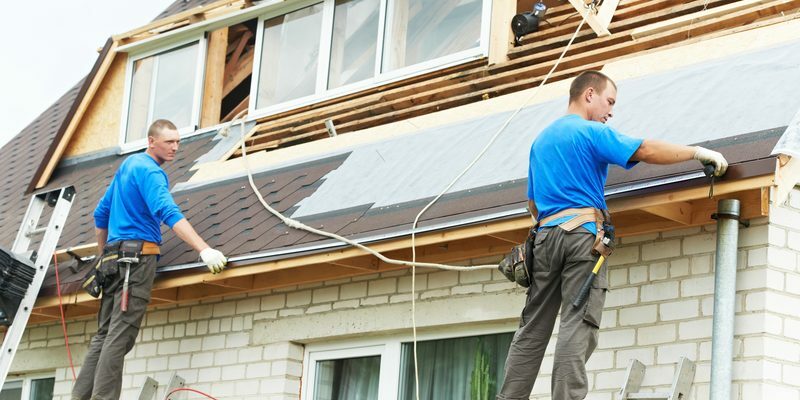 There are two kinds of insurance you’re going to want your contractor to carry: general liability insurance workman’s comp insurance. General liability insurance covers damage to your property in the event of an accident. It may not seem likely for damage to occur to your property, but think again. A roofer could burn your house down in the process of welding something. (Yes, it has happened!) If your roofer doesn’t have the proper liability insurance to cover this tragic accident, you may be held responsible for payment. Workman’s comp insurance covers any injuries incurred by your roofers while working on your home. It used to be that companies with less than three employees didn’t have to have workman’s comp insurance. Now, it is a requirement by law. Still, some roofing contractors skimp on this insurance because it’s pretty costly. But, if one of their employees gets hurt on your property, you could be the one forking over thousands of dollars for medical bills. 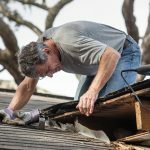 Bottom line, make sure the roofing company in Greenville SC that you hire has both forms of insurance. But, don’t simply take their word for it. You should ask to see an insurance certificate to verify. In order for the certificate to be valid, it should include your name and address on it as proof that you are additionally covered in the event of an accident. It’s never a bad idea to call the insurance company to make sure the certificate is valid and that everything is covered. Question #3: What Will You Do In the Event of Inclement Weather? Even if the forecast says sunny for the next two weeks, we all know the weather guy isn’t always right. If you work in an office or an indoor setting, a small change in the weather probably isn’t something you pay attention to. However, when you’re hiring a roofing contractor, weather should be at the forefront of your mind. A rain storm that lasts for a few hours could potentially wreak havoc on the inside of your home. Therefore, you want to make sure your roofing company in Greenville SC has a plan in case the weather turns ugly. You want to hire a company that will have some type of plastic sheeting or tarp on hand in the event of a storm. This will ensure that everything beneath the roof stays dry. Also, if the storm lasts for several days, the company should be willing to come back and check that the covering is working and staying in place. Question #4: Do You Have a Local Physical Address? If your roofing company doesn’t have a full name physical address, you’ll want to steer clear, as they likely could be trying to scam you. You need a company that will be able to come back to fix any potential problems, so don’t hire anyone who can’t provide this information. Question #5: Do You Offer a Warranty? You’ll want to make sure your roofing company offers two types of warranties: a manufacturer warranty to cover the products themselves a workman’s warranty offered by the workers installing the work. The product warranty should be at least 25 years the workman’s warranty should be for at least one year. Make sure to choose a company that offers both. 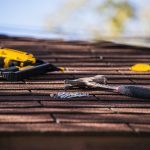 Question #6: Will You Remove My Old Roof? Some roofers will try to convince you that they can save you time money by inspecting the old roof shingling over it if all looks well. However, the only way to tell if the old shingles are damaged is to pull them up completely. Therefore, you don’t want a roofer to work on your house until they’ve completely removed the old roof. Question #7: Do You Use Subcontractors? Some roofing companies in Greenville SC, other places choose to use subcontractors to help complete their work. There is absolutely nothing wrong with this. However, you’ll want to make sure that these subcontractors have all of the same licenses insurance that your contractors do. Question #8: Can You Provide a Written Estimate? While final costs are difficult to pinpoint, there is no reason your contractor can’t provide you with a rough estimate for your roof repairs. Doing so will help you avoid any surprises conflict in the long run. Make sure the estimate includes the cost of removing the old roof, adding the new one in, any other likely road bumps that may come up. 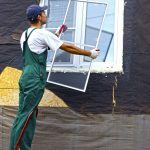 Hopefully, this article gives you more confidence hiring a roofing company in Greenville SC. If you have any more questions or would like a free estimate for your roofing job, please fill out our form we will get back to you shortly.